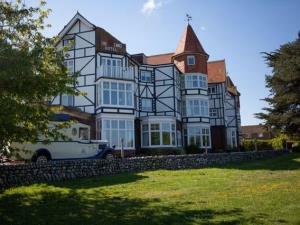 The Links Country Park Hotel01263 838383work01263 838264fax HotelIn the heart of an unspoilt village next to its own golf course, you will find possibly North Norfolk's finest leisure hotel, extensively refurbished in 2011. Enjoy on-site swimming, golf, gym or tennis, or relax in a comfortable bedroom, spacious lounge or Fairways sports bar. Garden rooms opening onto a courtyard garden provide a safe place for children to play, while other rooms may enjoy a sea or golf course view. Stylish In2Blu restaurant provide a contemporary setitng in which to enjoy delicious meals to suit all tastes.